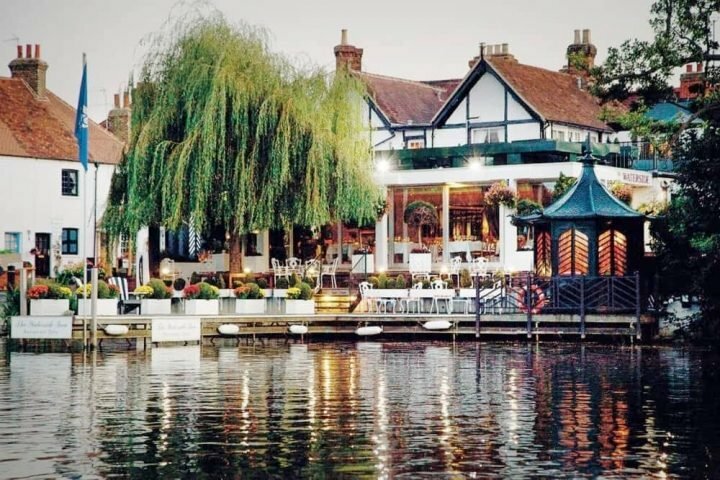 The Michel Roux Snr OBE and his son Alain are culinary giants round these parts – you don’t get to hold on to a clutch of Michelin stars for more than three decades without being at the top of your game. So imagine the Berkshire buzz when we heard this delicious duo were opening a brasserie in Maidenhead. 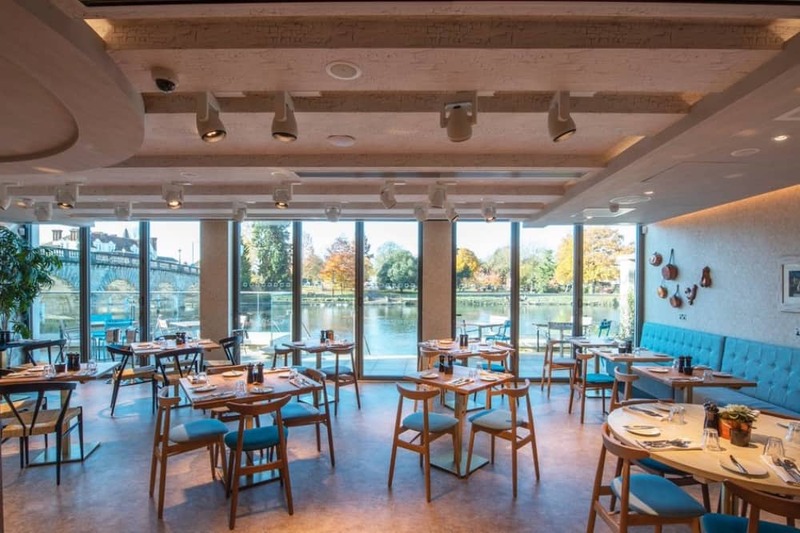 Roux at Skindles, a riverside restaurant and cocktail bar, right next to Maidenhead Bridge, opened at the end of 2018, offering breakfast, lunch, dinner and everything in between for friends, family and foodies to savour. Locals of a certain age will remember Skindles as a hotspot for naughty goings on. If you wanted to swing from the chandeliers with someone other than your other half, this was the place to do it. The Rolling Stones performed here, Princess Margaret was a guest… it was all going on. 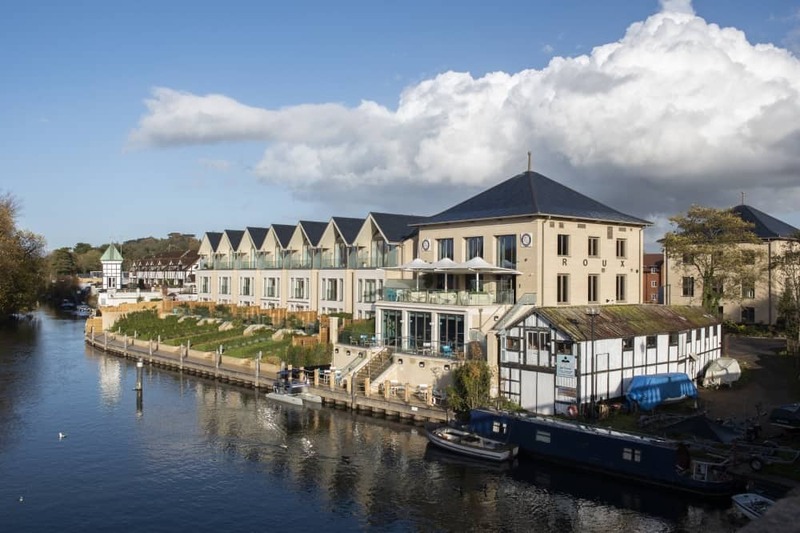 Fast forward to 2019 and it’s now a contemporary French brasserie, with a head chef and general manager who have both worked at The Waterside Inn. Muddy’s here to check it out. Whoopee! Buzzy with a river location to die for. There are no chandeliers these days (phew), instead you have a stylish, contemporary decor with floor-to-ceiling windows and uninterrupted views of the water. When the sun shines you will not want to be anywhere else. Brunch on the terrace, lunch in the restaurant (save your skin, and get out of the midday sun, moving on to sundowners on the cocktail bar balcony. Heaven. The ground floor restaurant has intimate corners including one permanently set for Michel. 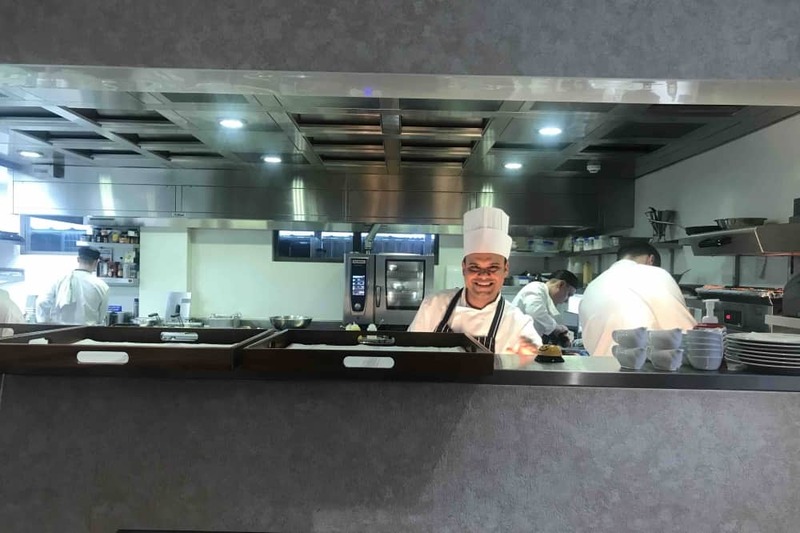 Lighter, brighter tables near the river and an open kitchen to watch the magic happen under the stewardship of head chef Rajkumar Holuss (First Sous Chef at The Waterside Inn for 8 years). It feels slick and grown up, but not intimidating. 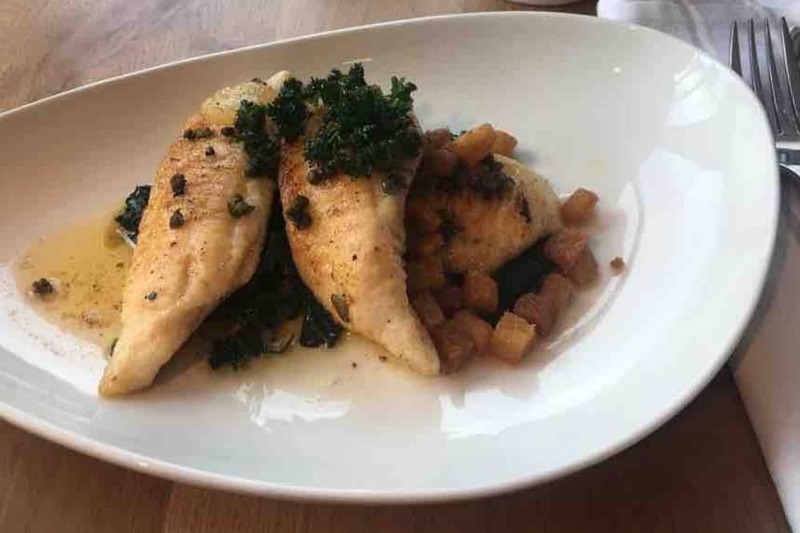 There is a confidence in Roux at Skindles’ offering and the assured service lift this restaurant into gotta-visit territory. Head up in the lift (every wall decorated with cool urban art) and you arrive in the chi chi cocktail bar. 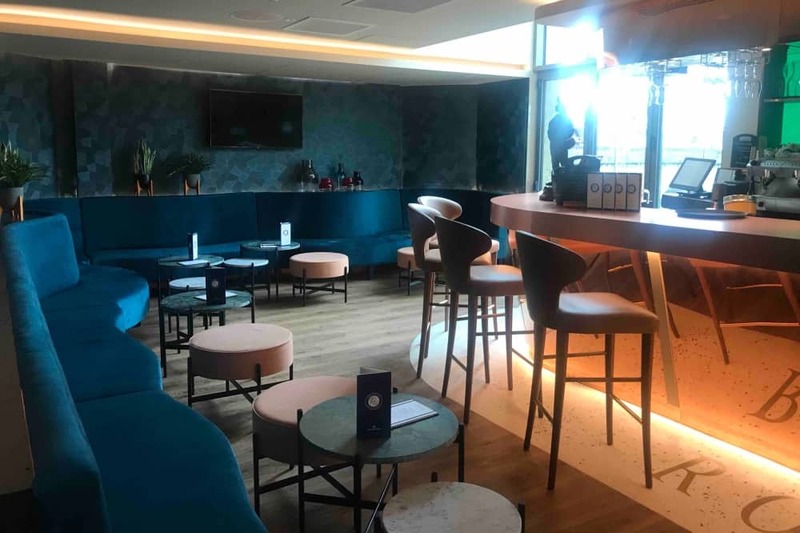 It’s my kinda place for a cheeky Martini – all velvet banquettes, shimmery copper bar and a beautiful outside space with large parasols and sofas. If you need me, you’ll find me here from May until September. One of the easiest food recommendations I’ll make this year. 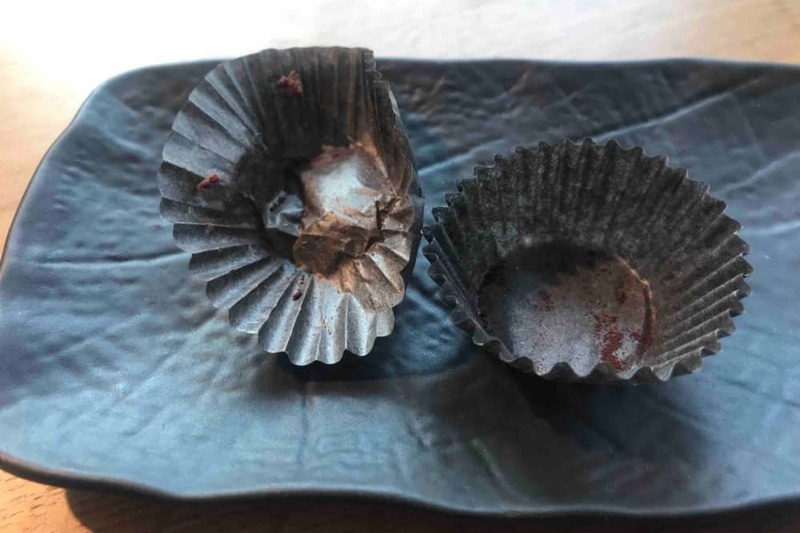 I took a friend along who just happens to be a food photographer (*nervously snaps away on my iPhone*), and we were both blown away by the quality of each course – the dishes themselves but also the plating, which looked sensational. 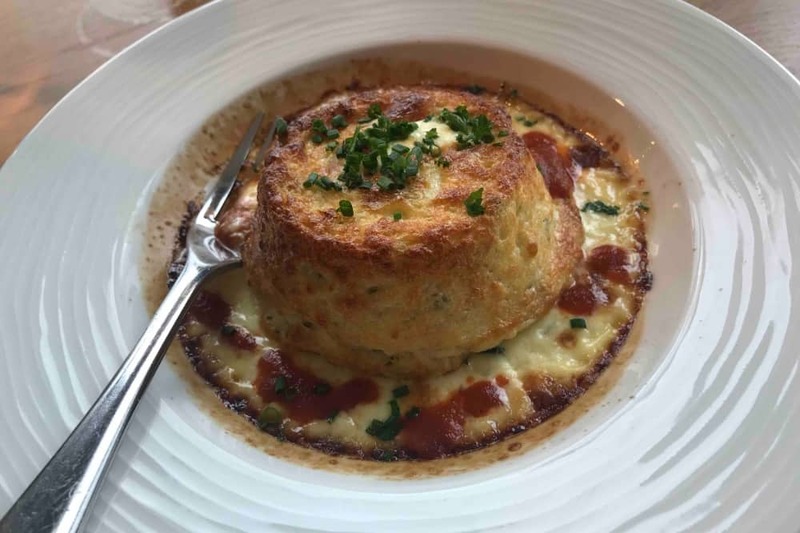 I started with the Goat’s cheese soufflé – lighter than air, cheesy with a tomato coulis to cut through the richness, it was packed full of flavour and utterly delicious. Malou plumped for snails smothered in a garlic and parsley butter and an abundance of sour dough bread to mop up. My main was a Lemon Sole fillets in a meunière sauce, sauté spinach and I chose a side order of fries. Don’t judge, it was Friday and this was the nicest fishy Friday I’ve enjoyed for a long time. And fish minus the batter makes this a healthy option iin my eyes. It was divine. 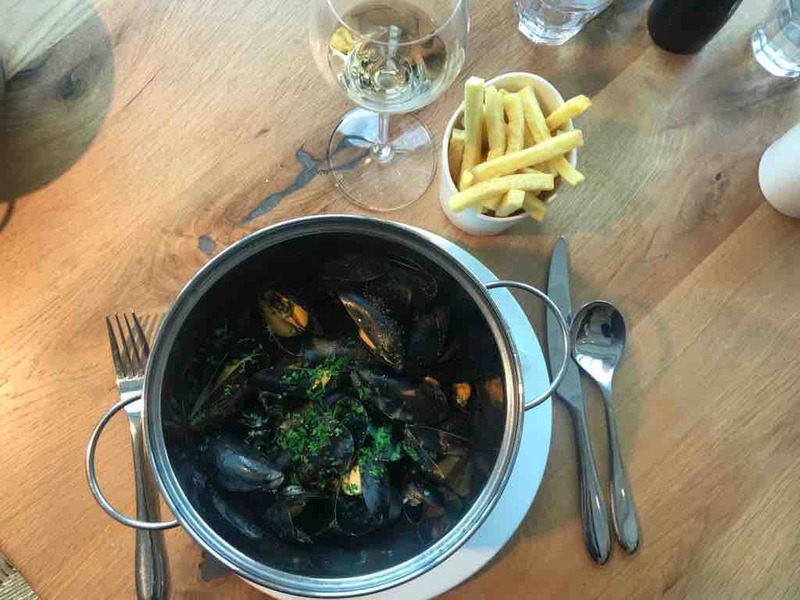 And check out Malou’s moules, below, she was in raptures. And yes, she did dunk her chips in the sauce. That’s how we roll. But also, that’s Roux at Skindles. Food is to be enjoyed – fuss free. 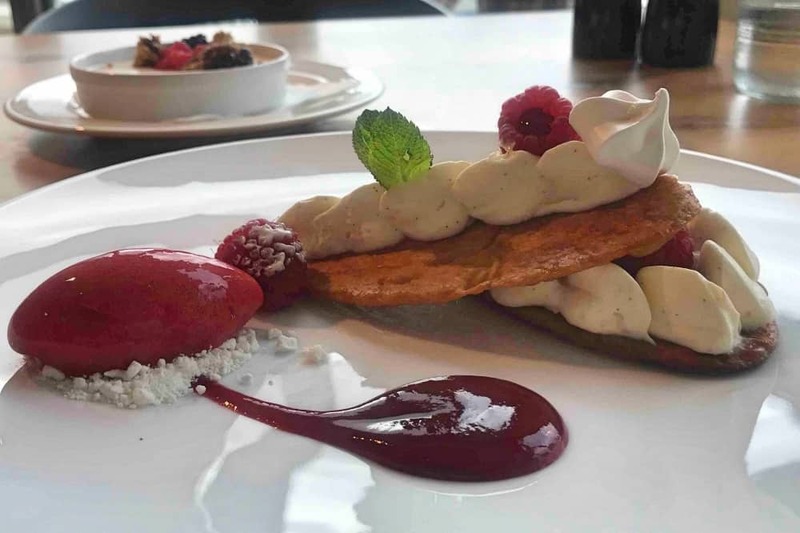 And dessert was the prettiest plate, but not so pretty that I didn’t want to ruin it, A Raspberry mille-feuille with a quenelle of raspberry sorbet. Yum. Lurking in the background is Malou’s Pannacotta with the perfect amount of wobble. No prizes for guessing that a French brasserie of this quality will nail the wine list and general manager Maxime Walkowiak, former Head Sommelier at The Waterside Inn, knows his onions and then some. He’s incredibly knowledgeable, gets excited about food and wine without any pretension. There are some lovely walks along the river and no shortage of boaty types pootling down the Thames to ogle. You may even spot Alain who whizzes from The Waterside Inn and Roux at Skindles in his little launch. Love a bit of scandal? 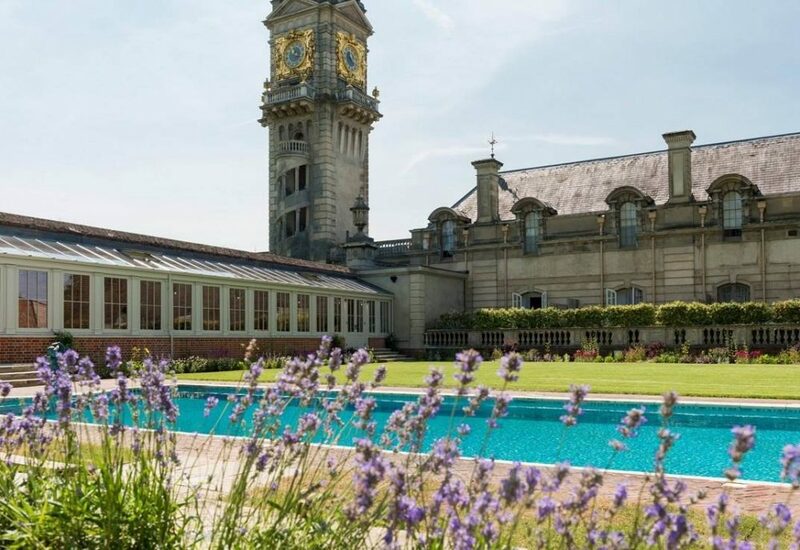 Skindles is not the only salacious hotspot round these parts, Cliveden is a 5-miniute drive away, work up an appetite walking around the National Trust grounds, or visit the spa and take a dip in the pool where Christine Keeler and John Profumo broke the rules on heavy petting. Not bad. It’s probably a little bit higher than you would normally pay round these parts. Starters linger around £9-£10, mains sit either side of £18.50 topping out at £28 for a rib eye steak; and desserts average £8. To be honest, it’s what you would pay at any good gastropub in Berkshire. So you won’t be reaching for the smelling salts when receive the bill. 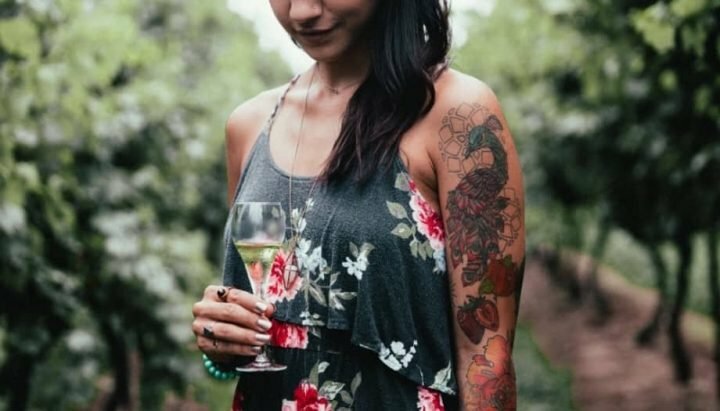 Good for: French food lovers wanting the real deal; foodies in general; date nights and get togethers the with girls. Larger groups particularly will enjoy the ambience and the option of a private dining room too. Kids are well catered for, and it’s a lovely place to hang out as a family. Obviously if you want a river view, you get a lot of it. Not for: Those expecting The Waterside Inn. 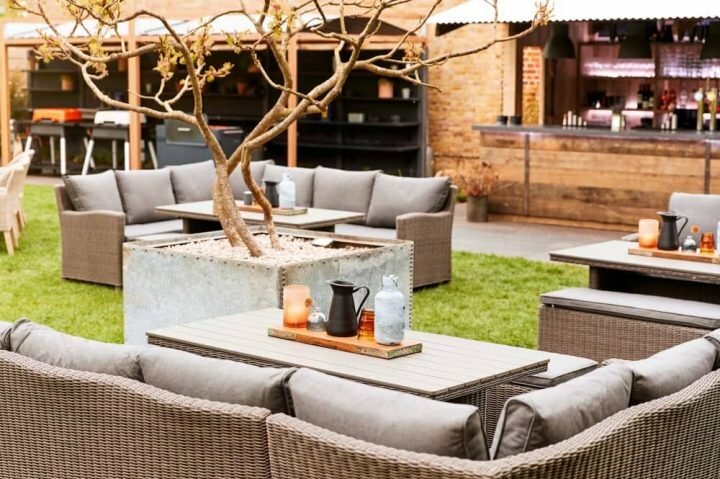 This is a relaxed, every day kinda place, serving familiar French favourites – made with the quality ingredients. £££: A couple of quid per course more expensive than average restaurants – but who wants average?! Entrees between £8.50-£15, mains £15-£28; Dessert £5.50-£10. Sounds really good and I must go there. Thank you. I have been here several times since it opened, mainly for lunch, the goat’s cheese soufflé is to die for and my friends love it. A fantastic foodie addition to Berks.